Chrissy Billante is one of the young women attending an unforgettable prom night experience for people with special needs. “I’m so excited, because I like to dance,” Chrissy said. 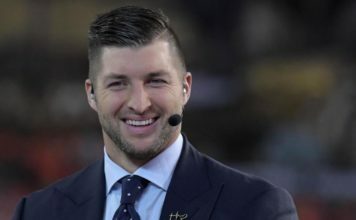 The event is sponsored by the foundation of Tim Tebow, former quarterback at the University of Florida. The foundation hosts the events across 50 states, 11 countries, and under one movement: inclusion. Students at the Florida Academy in Fort Myers, a beauty school, helped Chrissy and other girls prepare for their special night. “I love helping people feel good about themselves. The fact that I can be part of their big day is really special,” student Kristen Edman said. Billante couldn’t be happier that an event like a “Night to Shine” exists in Southwest Florida. “Well, no, I’m not a princess. I’ve got a new name: beautiful girl!” Chrissy said. The event is scheduled to take place Friday night at New Hope Ministries in Naples.